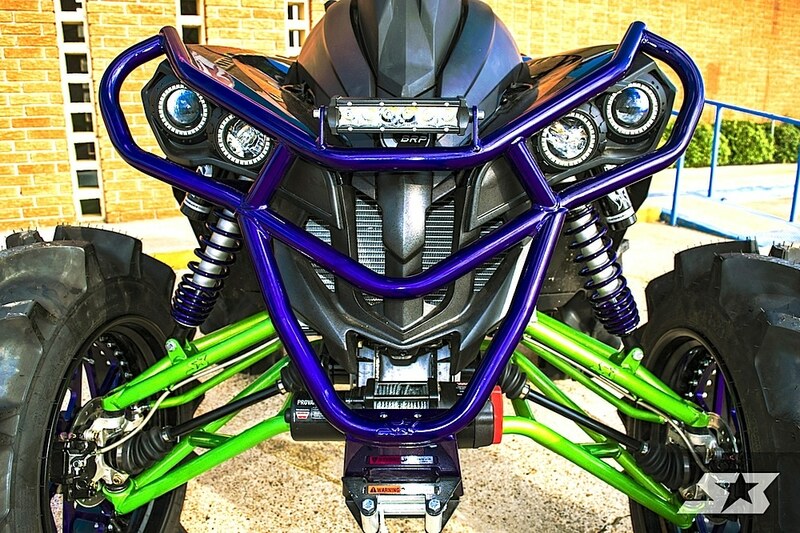 In the world of high-performance 4×4 quads there are two models that stand at the top of the pecking order. One is the Scrambler made by Polaris, and the other is the Renegade made by Can-Am. 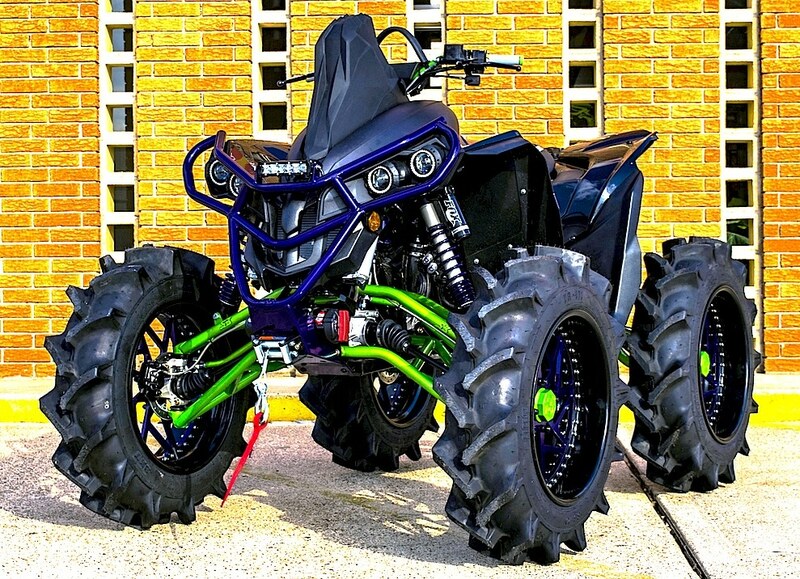 The one we’ll focus on here is the Can-Am version. It is the Renegade X mr 1000 of 2018. 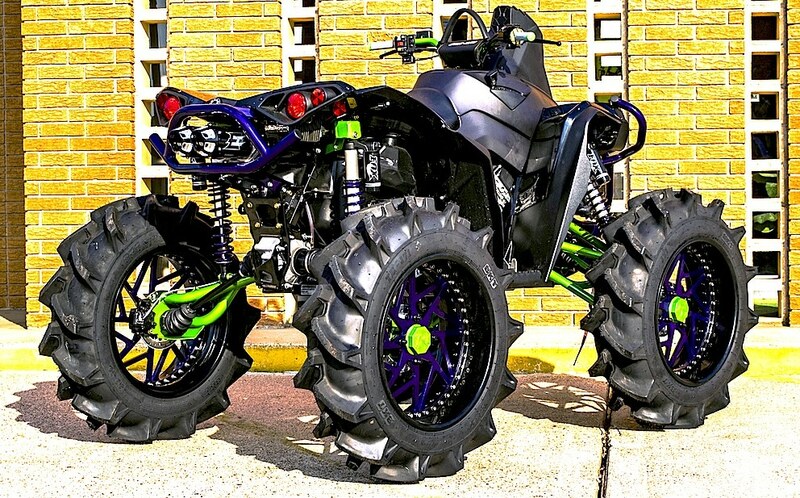 Dalton Battenfield turned it into an extreme machine with the help of S3 Power Sports. 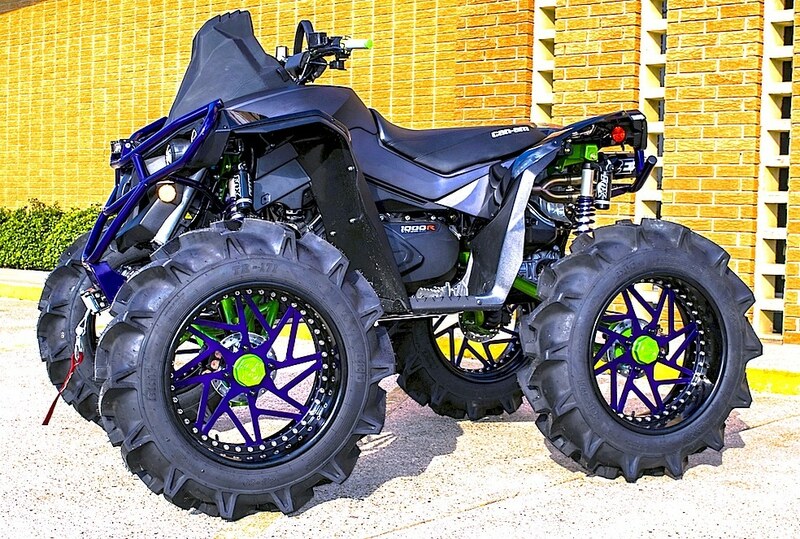 The list of parts include a S3 Power Sports 6 inch lift kit, Fox shocks, RCV axles, XMR series rear differential, Halo locker front differential, 35.5 inch BKT tires and OMC 20 inch 3 piece wheels. There’s also a S3 winch bumper on the front. In the power department Dalton’s Renegade 1000 has an Empire exhaust, Evolution ECU reflash and STM 3P clutches. It also has a Quake lightbar, RGB Halo lights and Under Glows. 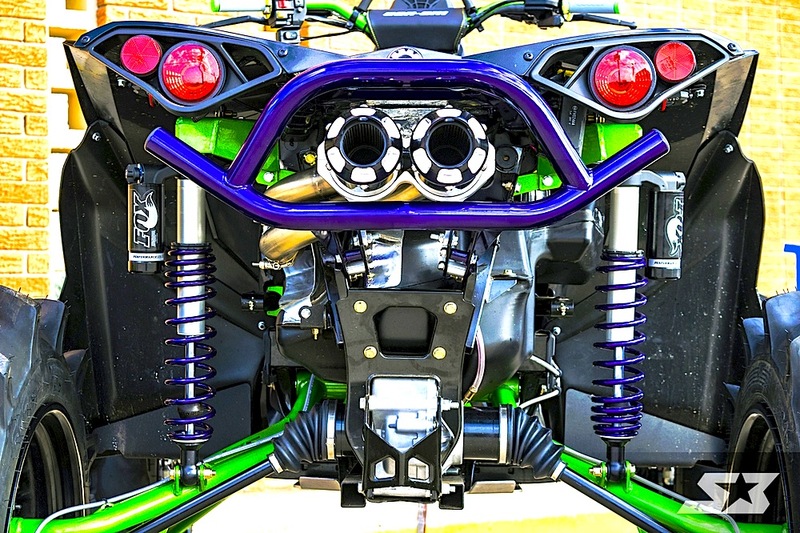 This Renegade’s special look is enhanced with a custom seat and Black Sheep powder coating. Should we feature your machine here and in the printed magazine? Of course we should, so send us some good photos and info on it. Include your name, city and state and E-mail it to us at [email protected].